The challenge for this past week is to tackle the serious topics of Bill Cosby’s prison sentence and the Supreme Court hearings without alienating the audience. It’s a tougher needle to thread if you don’t have a deep relationship with the audience yet. 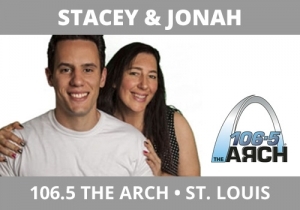 That’s where Stacey and Jonah, 1065 The Arch, St. Louis are. They’re new to the station so you have to be cautious. The topics are so pervasive, they must be tackled. In our discussion, we noted how corrosive social media can be – it clouds our take on a topic and can easily anger us. You must come up with a portal to enter any topic that’s honest and resonates – they came in with the promise to turn off all social media this weekend and actually be with people – they would not let social media affect them negatively this weekend and ask listeners to join that tribe. Here are four absolutely stellar breaks that resonated deeply with all of their audience, without ever taking a social stand. They talk with Jonah’s sister in two breaks (she’s a social worker), Jonah’s mom just to tell her they love her, and a listener. This is the classic “running in the opposite direction” from where we are. Will listeners actually stop using social media (for those of you inside thinkers who worry we’re telling the audience to not look at our Facebook page). Nope, they will still use all social media platforms. But the messaging is awesome. All of this rates an A+.